Did a 15 miler today in the heat. It was hott and humid but felt good to get out and do some distance. 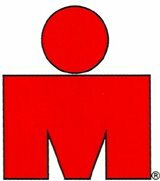 Congrats to all those who competed in Ironman LP today. Tour de France? What a shame all the doping.